EcoJarz PopTop turns a canning jar into the perfect spill-proof container for water, juice, smoothies, bulk food storage, and so much more. Jar not included. 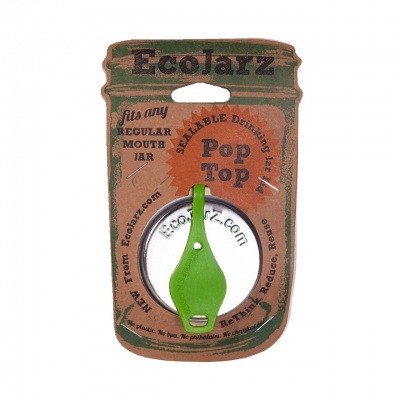 EcoJarz PopTop turns a canning jar into the perfect spill-proof container for water, juice, smoothies, bulk food storage, and so much more. The silicone plug makes a tight seal, ensuring that not a drop is lost. So go ahead, screw it on your jar, pop in the plug, throw it in your bag, play catch with it, or just give it a big hug! Jar not included. Metal rings are available to fit your regular or wide mouth canning jars, subject to availability. 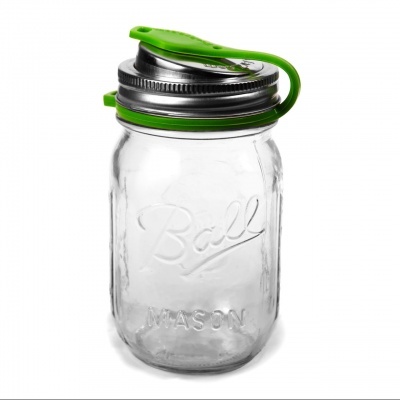 Choose either a lid to fit a regular or wide mouth canning jar, subject to availability. Jar not included. Works with a canning jar with a two-part lid. If you do not have a two-part lid, metal rings are available to fit your regular or wide mouth canning jars, subject to availability. A metal ring (Jar Band) threads onto a glass jar and is necessary to attach an Ecojarz drinking jar lid. It works just like a canning jar lid. If you already have a jar band(metal ring) you are good to go, but if not you can add one to your order for just £1, see below. - Silicone plug and band makes sure that there are NO SPILLS! - No: BPA, phthalates, or chemical leach - Plastic Free! The plug is attached to a silicone band that slides over the jar, so you won't lose it. There is a small notch in the silicone band that is designed to hold a straw, so you can have it with you when you need it. 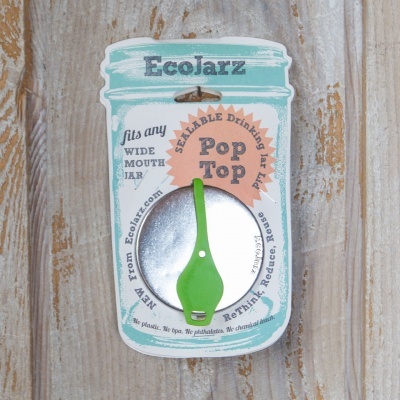 We recommend washing your new Ecojarz PopTop lid thoroughly with soap and water before use. Dry your stainless steel lids and jar bands well after washing and store in a dry place. The product is dishwasher safe. Made of 18-8 food grade 304 stainless steel and FDA-approved silicone. For those preserving novices, canning jars, also known as mason jars are designed in a clever and useful three part system. First you have the glass cup. Next up you have the two-part lid consisting of the thin metal disc, which covers the top of the jar, then finally a metal ring (the screw section) that holds the metal disc in place, forming an airtight seal. 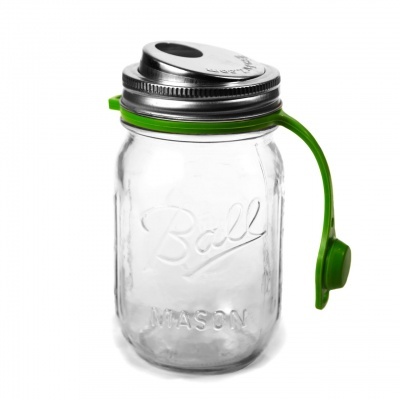 This lid replaces the metal disc, transforming your mason jar into a travel glass.